Welp, I survived SXSW just enough to be able to dribble out some college football new updates. 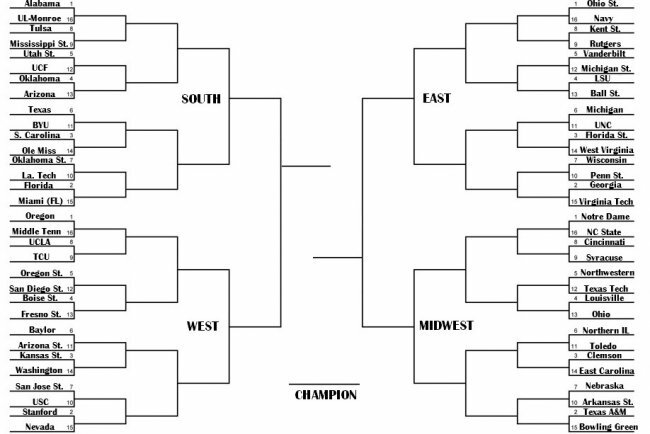 There’s plenty to pick from so let me tell you how to win your news bracket. Watch me pick from NCAA, Big Ten, Jim Delany, Mike Slive, SEC, Big 12, Ed O’Bannon, Big East, Maryland, West Virginia, Cayleb Jones, Texas, Tyler Evans, Gabe Ikard, Oklahoma, Texas Tech, Texas A&M, Cinncinnati, and Tommy Tuberville.